Hello everyone, stopping by for a minute from Tahiti. A few things to talk about, I heard that there is a new Retaliation trailer, I haven’t caught it yet but hope to do so soon. Tahiti is awesome and Wetsuit tagged along for the ride and I’ll be posting pictures of his vacation. I managed to pick up the 2008 and 2010 JoeCon sets from the club sale just before I left and yesterday I found a great deal on the bagged Darklon set from 2012 JoeCon. Categories: General Joe Stuff, New Joes | Tags: eBay, G.I. 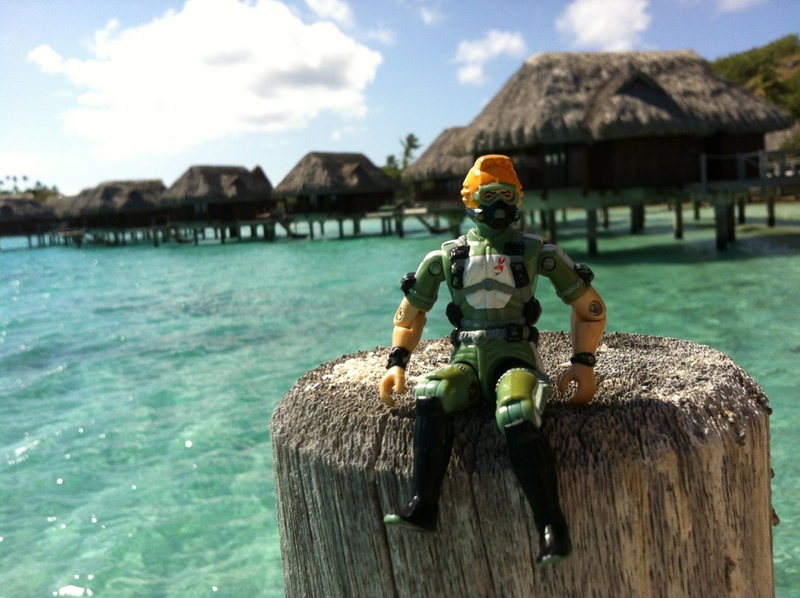 Joe, GI Joe, Leaky Suit Brigade, New Joes, Wetsuit | Permalink.